I've been trying to come up with new things to do with T for our Friday fun sessions, he's loving the sensory trays but I feel as though I need to add a bit of variety from using our play table. 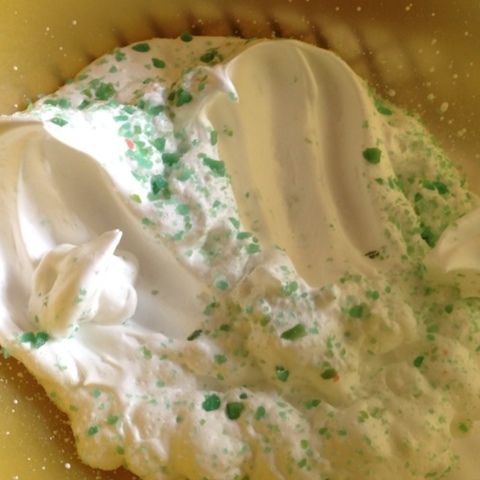 I wanted something that wasn't too messy but that would be fun, so we tried a bowlful of shaving foam with popping candy. 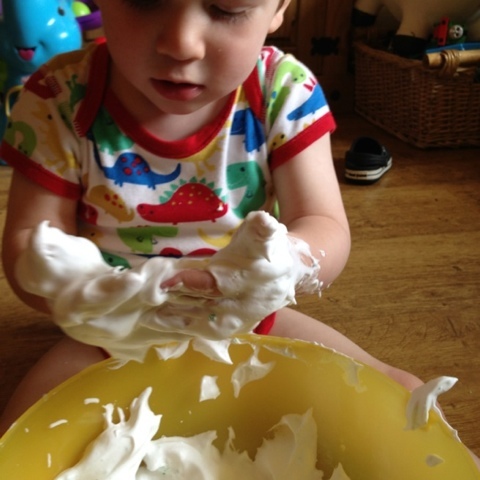 It's no secret that T loves shaving foam and as a 'clean' 'non food' messy play it ticks my boxes too! I had some popping candy hanging around the house and so we added that into the mix. 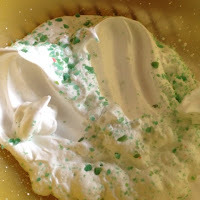 It took ages for the popping candy to pick up enough moisture to start popping but the little fella had enough fun with the shaving foam to mind. When the popping started it just added to the excitement! T started to explore the foam much more when it started popping and was looking to see what could have caused it. This was a really quick and fun activity to put together with things I've got around the house already. 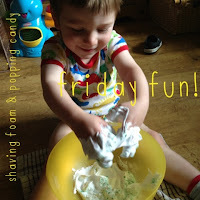 Do you use shaving foam or popping candy in your sensory play? I'd love to hear other ideas! This is just too cute and such an awesome idea!